Unfortunately, the majority of Car Next Door cars cannot be parked in the signed "car share vehicle only" car spaces that you may see around the streets. Those car spaces have been installed by Council, usually in return for payment, by agreement with a corporate car-share company (e.g. GoGet or GreenShareCar). They are specifically assigned to that car share operator, and are for use by a particular car in their fleet. A small number of cars belonging to Car Next Door have been allocated "Authorised Car Share Vehicle" spaces in the City of Sydney. You must park the car in its designated car share parking space (as specified in the parking instructions) when returning it at the end of your trip. You may not park the car in any other parking space, even if it is marked as a 'car share' parking space. Each parking space is assigned to a specific car in the Car Next Door fleet. The sign for the car space will be labeled 'Authorised Car Share Vehicles Excepted - Zone CND'. They are sometimes located next to dedicated parking spaces for cars from other car share schemes, so it's important to return the car to the correct parking space signed for 'Area CND' or 'Zone CND'. If you park in another car share space, you could get a fine. Take a picture of the offending car, showing its numberplate. Park in the nearest free, untimed parking space. If you cannot find one, park in a timed space. Don't worry about buying a ticket. Report the offending car to City Of Sydney Council by calling (02) 9265 9333 (24-hour line) or filling out the online form. You will need the parking address of Car Next Door's car share space and the licence plate number of the offending car. 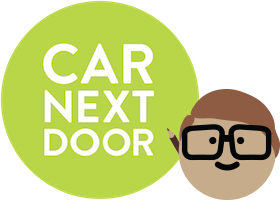 Email us on support@carnextdoor.com.au with the photo of the offending car showing its numberplate and let us know that you have reported the car to council. NOTE: you will be liable for any parking fines if you do not follow all of these instructions. Do I have to get the car cleaned before I return it? Where should I park the car? What if I can't find a parking space? Do I need to tell anyone where I parked?